After making one, I had to make another and then I knew I had to share with everyone here on LLS because it’s such an easy, great recipe to have in your back pocket. It’s so easy to customize with your favorite toppings. 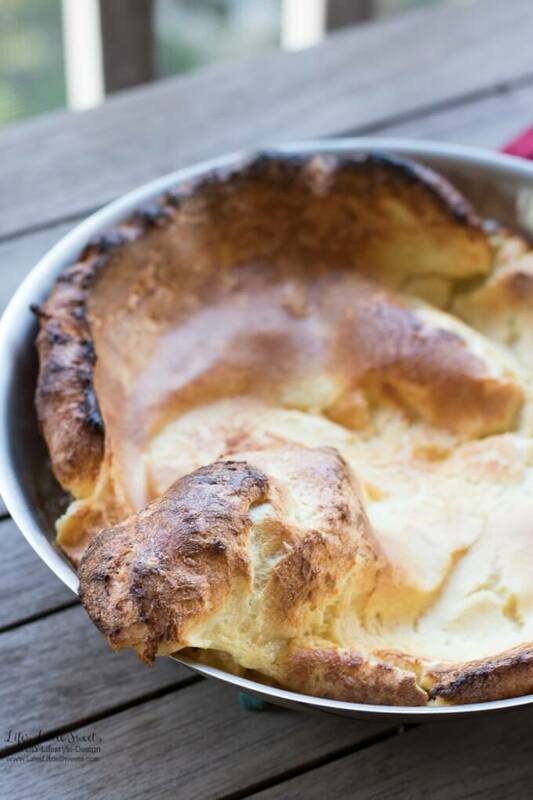 It reminds me of a big popover with it’s egg-y flavor; it’s so good that when I am eating one, I feel like I just can’t get enough. 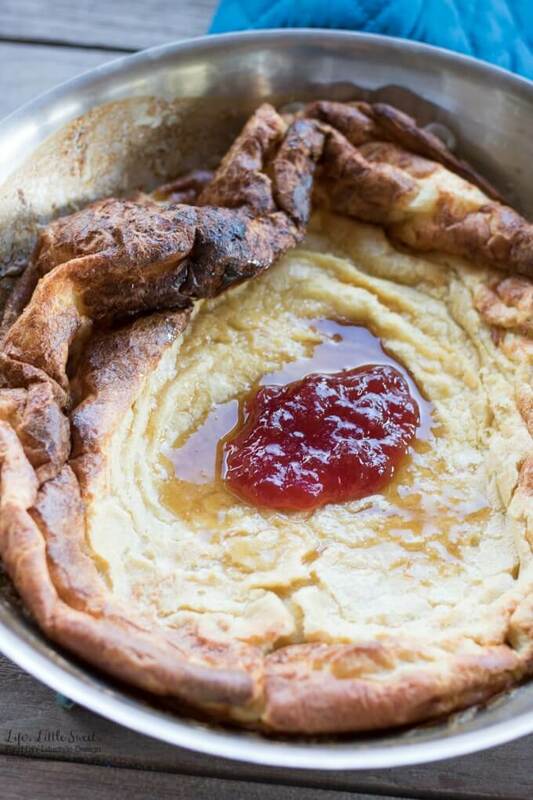 I topped this Dutch baby pancake with strawberry jam and pancake syrup but confectioner’s sugar and fresh fruit is a lovely way to enjoy it too. 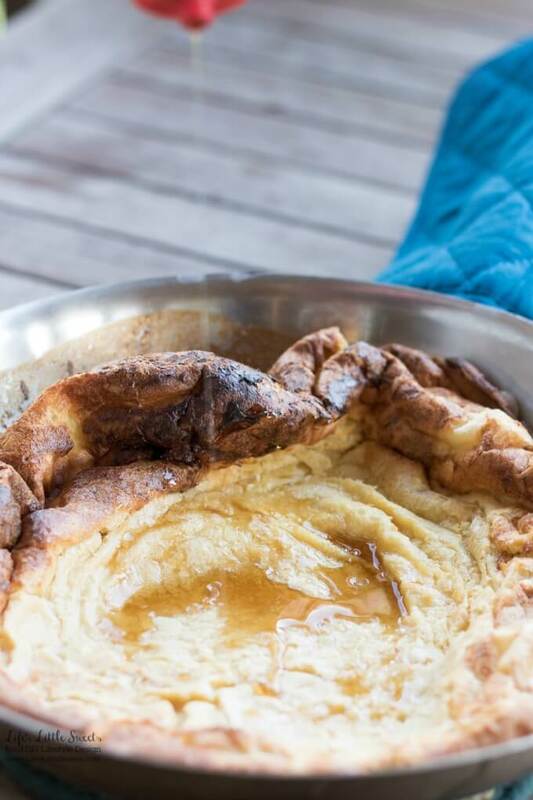 Make sure you own a skillet that can be put in the oven at 425 degrees F.
I know you will love this Dutch Baby Pancake Recipe! 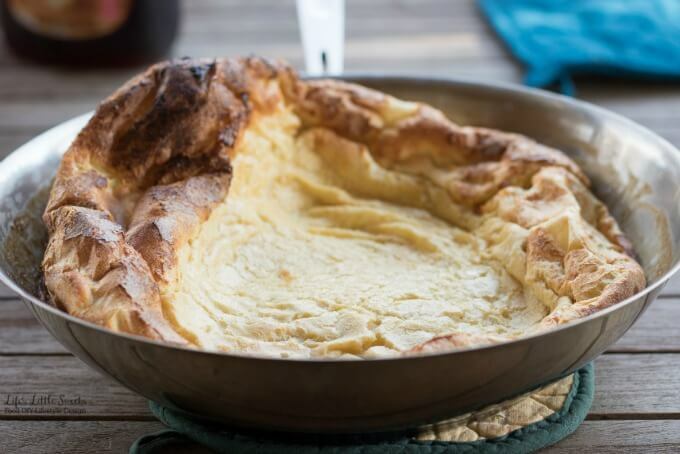 This Dutch Baby Pancake Recipe is an alternative to traditional pancakes; one large pancake baked in the oven produces a fluffy, satisfying pancake for breakfast or brunch! In a medium-large mixing bowl, using a whisk, mix the flour, milk, 2 eggs, sugar, vanilla extract and salt. The batter should be liquid-y. Allow the batter to rest for 20-25 minutes. 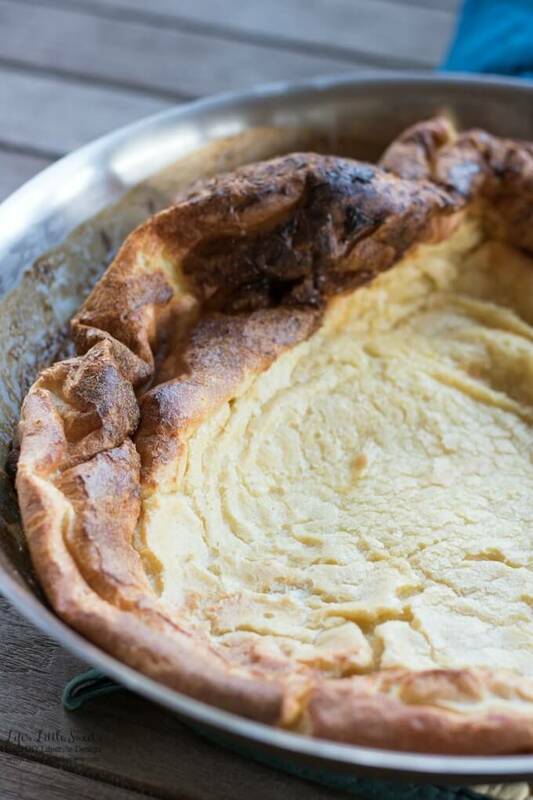 While the batter is resting, melt the butter on the stove top, in a skillet. 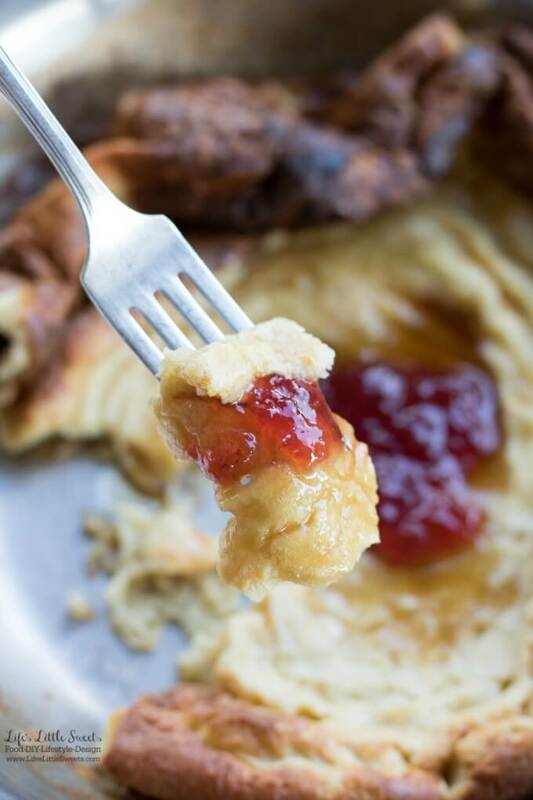 Preheat oven to 425 degrees F. When the batter is ready, add the batter to the melted butter. Bake for 15-20 minutes. 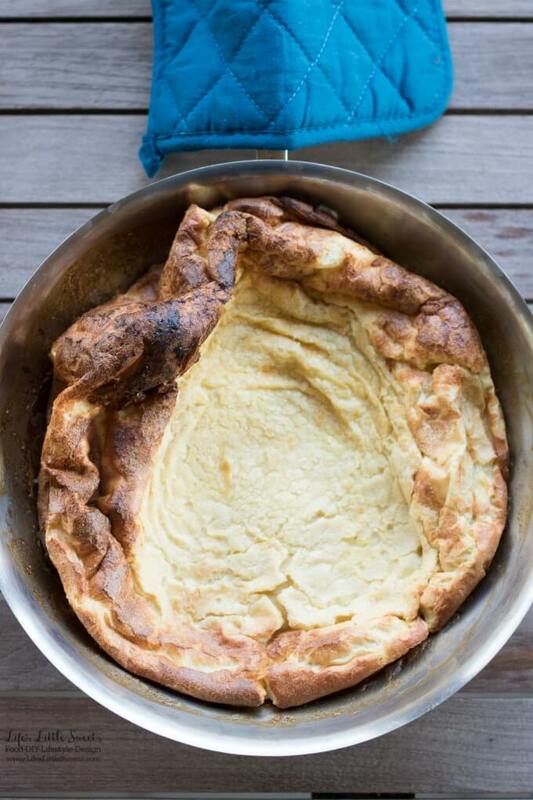 When the Dutch Baby Pancake is done (use oven mitts, the skillet will be very hot! ), take out of the oven. It will be puffy, and deflate pretty fast. You can serve it right out of the pan. Add your favorite toppings. Enjoy! 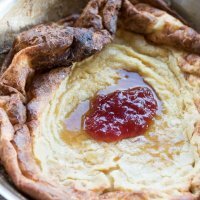 This recipe is inspired by How To Make a Dutch Baby Pancake from the Kitchn.com.